Today, on the Your Home Story podcast, we are chatting all about interior home maintenance. Learn what to do, when to do it and how to do it in regards to taking care of the inside of your home. 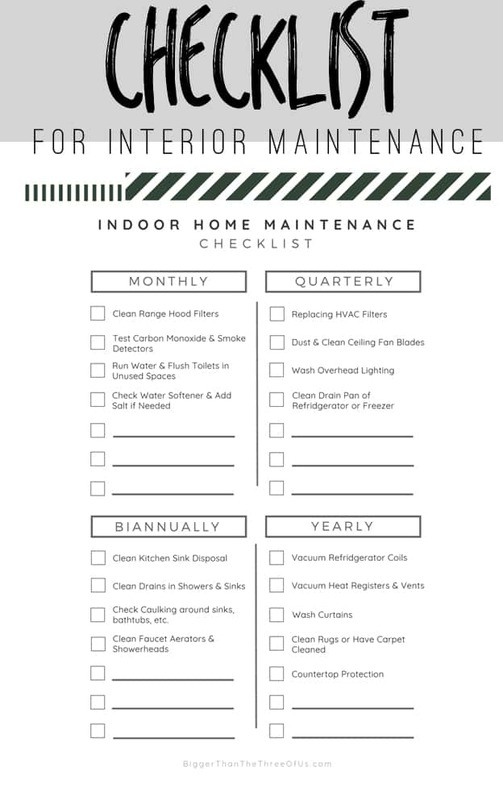 Plus, download a free Interior Home Maintenance Checklist to keep you on track of future to-dos! We definitely prefer to focus on projects that make our home prettier, but in reality, we have to do projects regularly that make our home safe and efficient. On today’s show, we chat all about interior home maintenance, including how and when to do some of those pesky, deep cleaning projects such as cleaning and maintaining your kitchen sink disposal, washing your curtains and de-gunking your faucet aerators! Suzannah shared a super great tip for staying on top of HVAC filters, so make sure to listen closely for that!